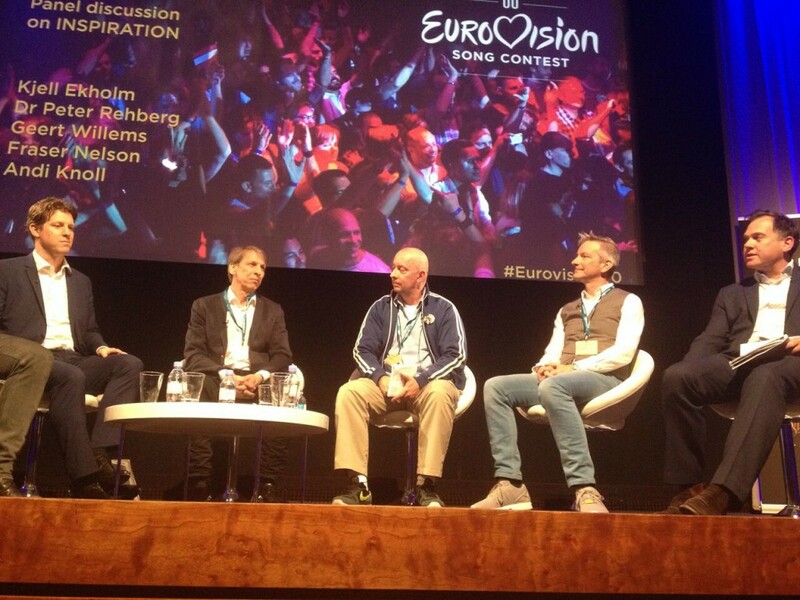 What a great day in London last week for the Eurovision Song Contest 60th Anniversary Conference, and what an honor to have been invited to attend. 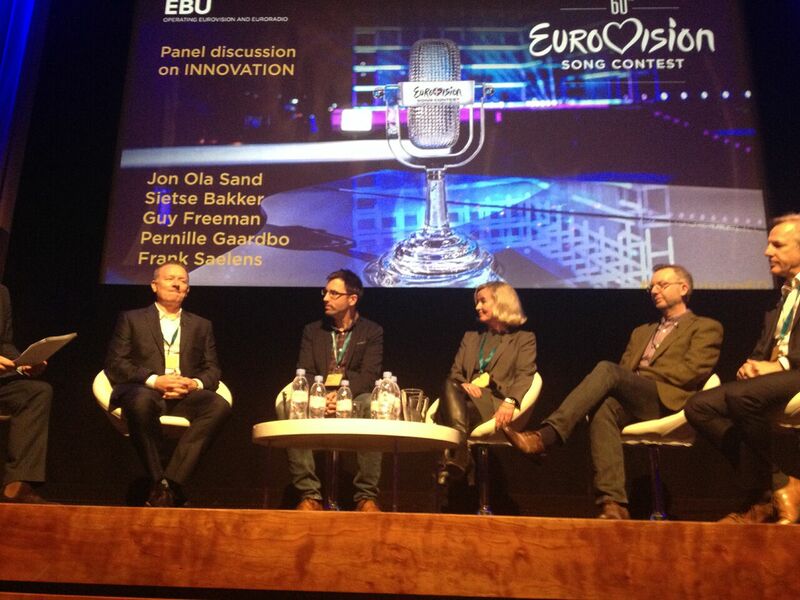 The European Broadcasting Union (EBU) convened a brilliant event, with an interesting mix of academics, journalists, winners of the ESC, as well as fans and people from the EBU who organise the contest. There were two excellent keynotes from my good friends Karen Fricker and Paul Jordan (names that will be familiar to regular readers of this blog over the years), as well as panels on ‘ritual’, ‘innovation’, and ‘inspiration’, in relation to the ESC. All lively discussions, and I had front row seats for the whole proceedings. Thanks for the positive feedback from those of you who were watching my panel via the live streaming last Friday. Should you want to relive the day (I know some had a bit of technical difficulty accessing the feed), you can do so by clicking here. My panel is about 1 hr 10 mins in. The panel on inspiration included Fraser Nelson, editor of The Spectator, (left) who showed a surprising affinity with the ESC! You might have seen some of his comments in the media? I thought his comments were well made! And he bashed the BBC on their poor performance in terms of our song selection in recent years, which to be fair they kinda deserve if you are a frustrated Eurovision fan, or music fan. 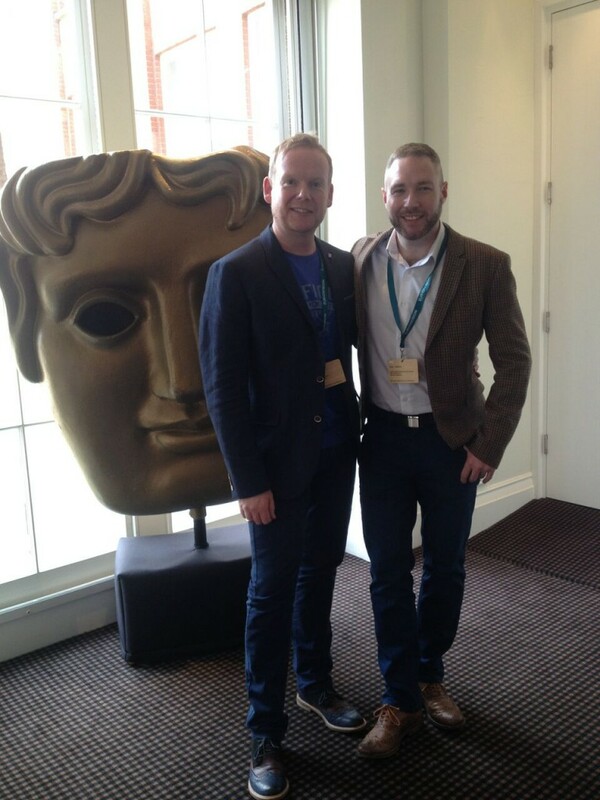 By mid-afternoon the energy levels at Bafta HQ were beginning to flag. But hang on, who is sitting three people away from me? 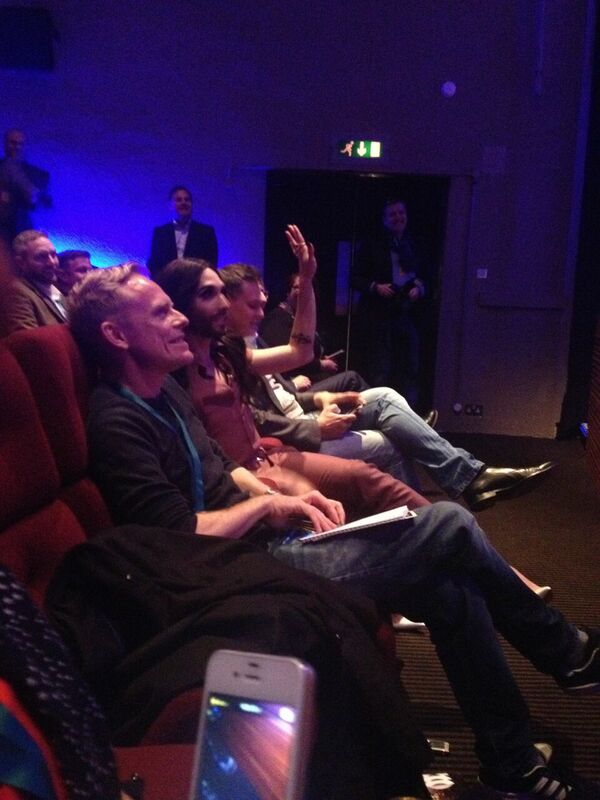 Blimey – it’s only Conchita Wurst! 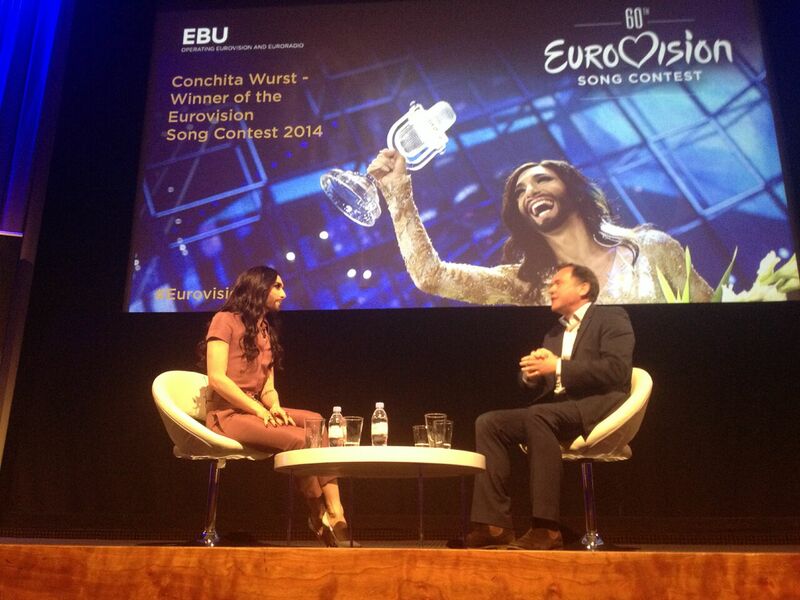 Conchita took to the stage to be interviewed by Paddy O’Connell, and she was on top form. And she’s funny! When asked why she kept her performance last year fairly simple on stage, she responded “Because I like to stand still”. Clearly the significance of her victory last year still resonates, in terms of human rights and LGBT issues. At a meeting with Ban Ki-moon last year, he commented that her Eurovision victory really does send a “powerful message” for the promotion of respect for diversity. 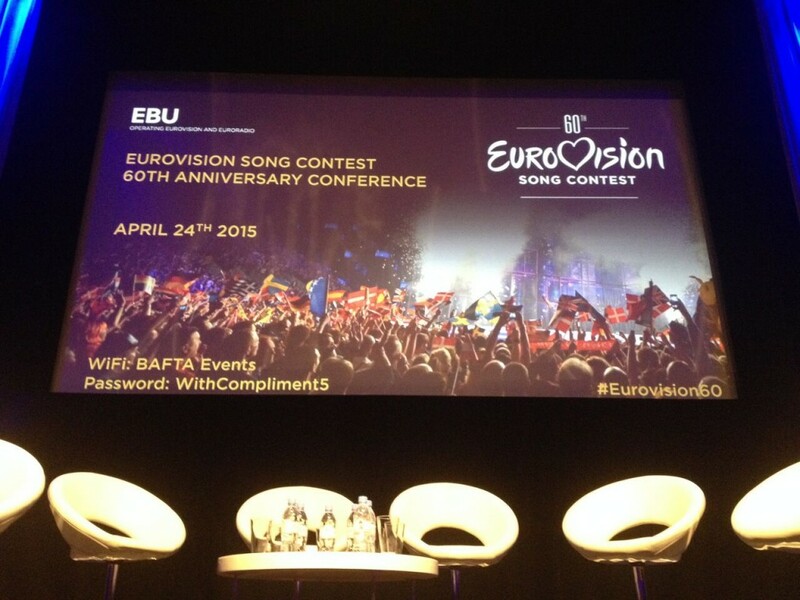 By the evening I was on a train back to Southport, and I had also made it into the EBU’s press release! You can see that here. Awesome! We have now had a few weeks of celebrating the 60th Anniversary. 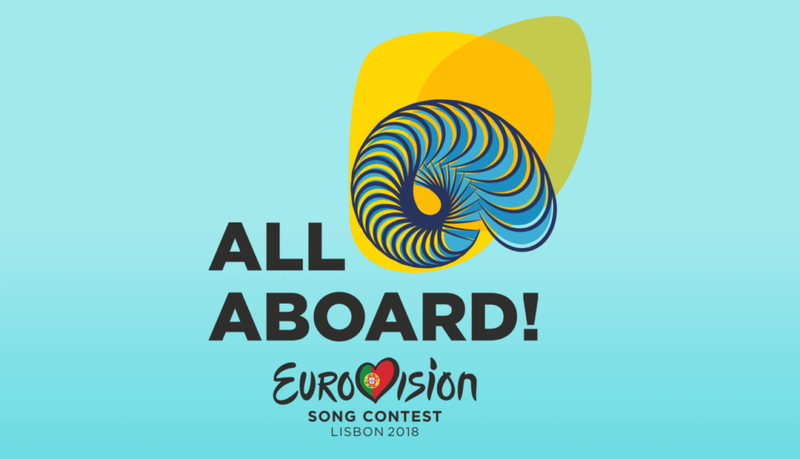 What’s great is that I now have a focus for my next phase of Eurovision research: the panel on ritual really didn’t get off the ground in terms of the focus I would have thought it would, and so I’ll be working on that in the near future. More importantly for now, it’s time to get ready for Austria – the first semi-final is just a few weeks away (19 May), with the grand final on 23 May. I’ll be in Vienna, and I’ve been accredited by the EBU to be there during the week for the build-up and rehearsals. Great stuff. I hope you enjoyed “Eurovision’s Greatest Hits” a couple of weeks ago. It certainly lived-up to its title, and paraded an entertaining selection of Eurovision alumni. I liked the partnership between presenters Petra and Graham. I think she had the better gags and was more entertaining, and there were enough different acts to keep us all happy. I guess it’ll still be on BBC iPlayer for those who missed it? As I mentioned in my previous post I have been personally invited to attend the EBU’s 60th anniversary conference, which takes place in London at BAFTA HQ tomorrow. I do feel privileged and honoured to be there. I have been researching the ESC for over a decade now, and it is still a really fertile area of academic research. I am delighted that my contribution is being acknowledged, as well as my profile. 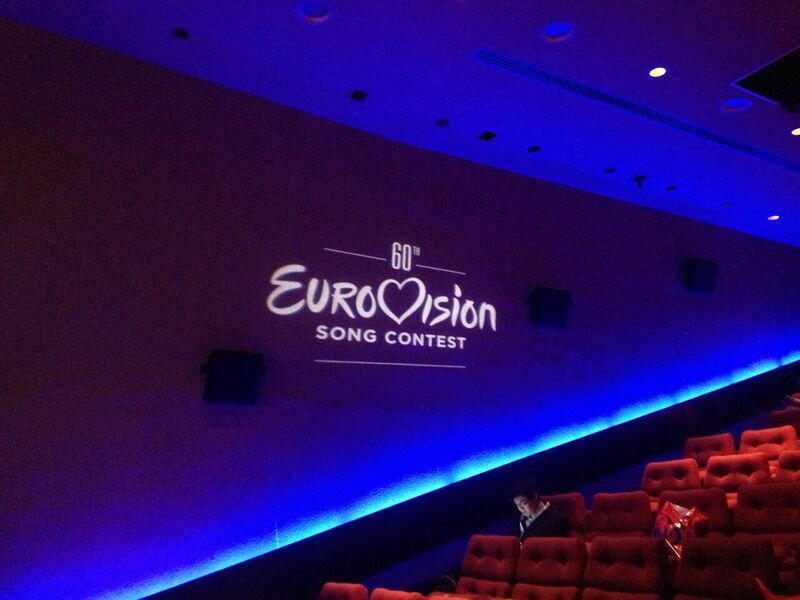 There is a fascinating line-up of academics, media specialists, representatives from the EBU, fans and former winner. There are a few couple of Keynote speakers who I know very well: my good friends Dr Karen Fricker and our (the UK’s) very own “Dr Eurovision”, Dr Paul Jordan. Good news is that he will once again be part of the BBC3 broadcasts of the semi-finals this year in Vienna. There are panels which have been convened around various themes. I am on the first panel of the day which is considering how the ESC is a ritual. You can follow the whole day via www.eurovision.tv, as it will be streaming live (be sure to check out new jacket!). It starts at 10.00am, and my panel is at 11.00am, so if you are interested to see a lively conversation with myself, good friend Professor Brian Singleton, and former winner Dave Benton (Estonia 2001) tune in. Right, I’m off to London. Hope it’s a bit cooler down there!